Bert Weber, left, and Christian Weber, owners of Common Roots Brewing Co. in South Glens Falls are adding four new fermenting vats to the growing operation. Courtesy Common Roots Brewing Co.
Fronhofer Tool Co. has moved into the niche of making fermenting vats for breweries. Common Roots Brewing Co. in South Glens Falls is doubling its brewing capacity and a local company, Fronhofer Design of Cossayuna Lake, is fabricating the vats that will allow them to do it. Both are local, family-owned, companies. Common Roots will add four new 20-barrel (620 gallons) fermenting vats and a new 20-barrel “bright tank,” said co-owner Bert Weber. The bright tank, he said, is for the final conditioning of the beer. It spends a day or two in the tank before being transferred to kegs. Fronhofer is a 36-year-old steel fabrication company in Washington County, consisting of Fronhofer Tool and Fronhofer Design. Brewery equipment is a relatively new line of work for them. “They do beautiful work,” Bert Weber said of Fronhofer. 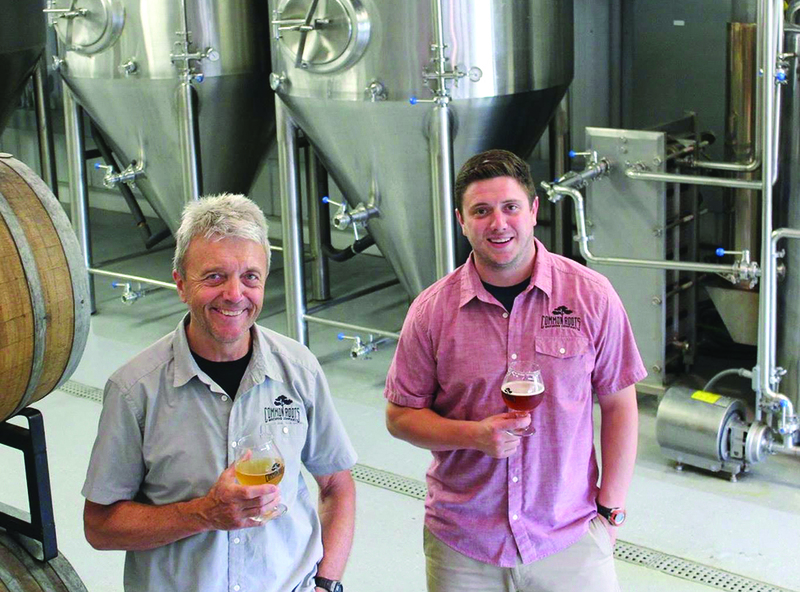 Getting into the brewery niche began about two years ago, according to Paul Fronhofer II, who runs the business along with his brother Kyle. Paul Sr. founded the business in 1980. 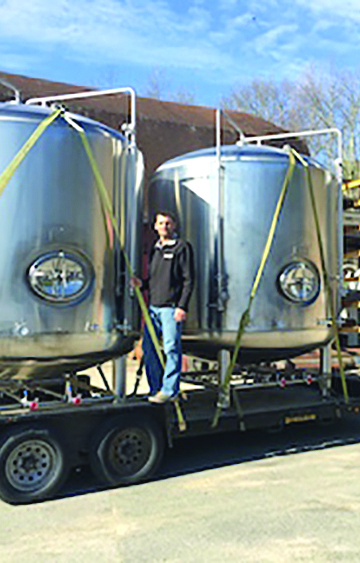 Their projects have included a 40-barrel tank for a meadery (a honey-based beverage) in the Bronx, a 70-barrel tank for the Brown’s Brewery facility in Hoosick Falls, and a full-scale brewery in Argyle. The Concerned Citizens for Saratoga Racing has rejected the state’s plan for re-privatization of the New York Racing Association. NYRA is the group that operates Saratoga Race Course, Belmont Park and Aqueduct, the three main thoroughbred horse racing tracks in the state. According to the local group, the plan now being circulated by Gov. Andrew Cuomo that seeks to retain public control of NYRA and unilaterally transfer funds legally designated for the state’s thoroughbred racing industry into the state’s general fund. • Allow the governor to appoint one-third of the members to the new NYRA board of directors or five of the 15 members. The Saratoga Performing Arts Center (SPAC) has partnered with the Saratoga Springs Downtown Business Association in celebration of SPAC’s 2016 50th anniversary season, offering SPAC patrons a 10 percent discount at participating DBA member businesses. Participating DBA businesses show a SPAC 50 logo in their window. In addition, SPAC and the DBA co-present a chance to win SPAC amphitheater tickets to all 2016 performances of the Freihofer’s Saratoga Jazz Festival, New York City Ballet, and the Philadelphia Orchestra. The sweepstakes package is valued at more than $2,000. Officials said anyone can enter to win by completing an entry form at participating DBA member businesses before June 19. The winning entry will be drawn on June 21. Participants must be 18 or older to enter. Tina Levielle-Briscoe, co-owner of Simplicity, A Salon, styles hair in the studio’s new space at the Embassy Suites hotel in Congress Plaza. The business moved there from Henry Street. After 16 years on Henry Street, Simplicity, A Salon, now occupies space in the Embassy Suites hotel in Congress Plaza. The space was available after a previous tenant vacated the premises. Co-owners Tina Levielle-Briscoe and her husband, Sahn, decided it was the right time to make the move. “We loved Henry Street, but parking was becoming too difficult for our clients and we felt it was time to switch our energies to a new space,” she said. Levielle-Briscoe said it all happened very quickly. Although they had considered making the move when Embassy first opened, another salon leased the space. However, in March of this year, they were given the opportunity to take the spot. Their lease on Henry Street was coming up for renewal and they made the decision to move. Charles Usher and his wife, Amy Usher, are proprietors of Kraverie, a restaurant sensation that fuses Korean and French cuisine in the Beekman Street Arts District in Saratoga Springs. Kraverie, a Jersey City restaurant sensation that fuses Korean and French cuisine, is opening a second location in the Beekman Street Arts District in Saratoga Springs. The new eatery opens at 78 Beekman St. on June 11. As it turns out, chef/owner Christian Usher is accustomed to taking his show on the road. Charles Usher started his culinary career 10 years ago in Jersey City, N.J., as a food truck vendor, operating Lucinda’s Creperie. It was there that he met his business partner, Charles Heo, also a food truck vendor and owner of Krave, a Mexi-Korean BBQ. Cerri Annette Banks will be the new Skidmore College dean of students. 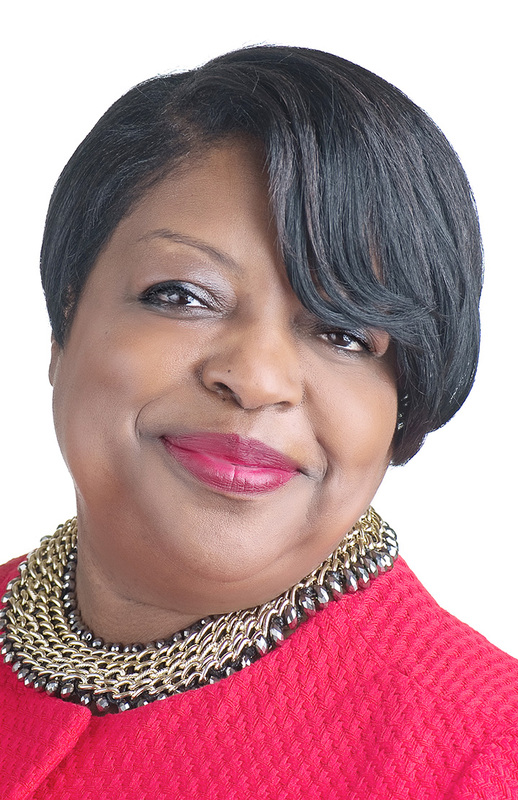 Skidmore College in May named Cerri Annette Banks as dean of students and vice president for student affairs. Currently serving as vice president for student affairs and dean of the college at Mount Holyoke College in South Hadley, Mass., Banks will begin her new position at Skidmore on Aug. 1. Banks will oversee 134 employees and five offices within Student Affairs, including athletics, campus life, career development, student diversity programs, and student academic services. A new Smashburger restaurant, the fourth in the Capital District, is scheduled to open in Clifton Park July 20. One of the branches is on Marion Avenue in Saratoga Springs in the Fresh Market shopping plaza. Co-owner Marc Goldstein is director of real estate for Columbia Development Cos. in Albany. His co-owner and the operating partner, Leo Butera, has some 30 years of experience in the franchise business, mainly supervising franchisees on behalf of their parent companies. Goldstein and Butera have the exclusive franchise rights for an area comprising six upstate New York counties and all of Vermont. They have contracted to open eight restaurants in their territory. The Clifton Park site is their fourth and they plan to open a new outlet every two years. Gov. Andrew M. Cuomo announced in May that he is advancing legislation to close what he called “the LLC loophole” in New York state. The governor has introduced eight bills – one for all political offices and one for each of the state’s elected offices, requiring that limited liability corporations be treated as traditional corporations, capping contributions at $5,000. The bills would prevent LLCs from circumventing disclosure requirements and ensure that businesses do not wield an outsized influence in politics and elections across the state, Cuomo said. He said the LLC loophole is widely open to abuse – with companies regularly taking advantage of the gap in state law to set up numerous LLCs to donate millions of dollars to political campaigns, candidates for public office and elected officials in New York. 1. Everyone (all candidates for state political office). Megan Druckman operates Lola Saratoga at 372 Broadway, formerly Lola Accessory Boutique. The store sells women’s handbags, jewelry and accessories and some paper goods. The former Lola Accessory Boutique in Saratoga Springs has a new name, a new location and is about to launch a new product line. The shop, now known as Lola Saratoga, moved in April to larger quarters at 372 Broadway, a location that allows greater visibility and an expanded assortment of merchandise, according to its owner, Megan Druckman. The store sells women’s handbags, jewelry and accessories and some paper goods. Their products include Rebecca Minkoff handbags and they are the only Capital Region outlet for Kate Spade products, Druckman said. A Portion Of &apos;Fireball Run&apos;, A Contest Streamed On TV, Internet, To Be Filmed Locally In Sept.
Fireball Run, a television and internet streaming series, will be crossing New York state in late September, passing through southern Saratoga County in September. The Fireball Run is a live action trivia pursuit, adventure travel competition that has “missions” or tasks framed as trivia. Each 26-episode season is filmed in a section of the country, edited, then streamed over the internet in the U.S. and shown on television stations. Welcome events are planned in Ballston Spa and Clifton Park, according to the Chamber of Southern Saratoga County, as 40 competing teams vie for top honors in solving clues and engaging with historic artifacts. Contestants also aid in the search for America’s missing children, and to date 48 children have been found in part by their efforts, according to program officials. The contestants will be in the area on Sept. 29 and 30. The event is not a race, organizers said. Teams earn points for completing tasks after having driven to spots of interest, many times historical, based on clues. Points also can be deducted for things like speeding. The 2016 rally will be going up and down the Hudson Valley as well as the surrounding states from Sept. 23 to Oct. 1. Estimates put the financial impact of the presence in a community at $250,000 per day, according to the production company. The rally will arrive in Ballston Spa Sept. 29 and Clifton Park on Sept. 30.